You can thank a poodle aficionado for obedience, one of the AKC’s oldest sporting events. It all began in the early 1930s when a breeder of Standard Poodles, Mrs. Helen Whitehouse Walker, wanted to prove that the breed typically famous for their fancy haircuts is both incredibly smart and highly trainable. To get the job done, she devised a series of exercises, adapted from competitive tests created by the Associated Sheep, Police, Army Dog Society based in England. Classic moves, including stay, come, and heel, made up the core program. 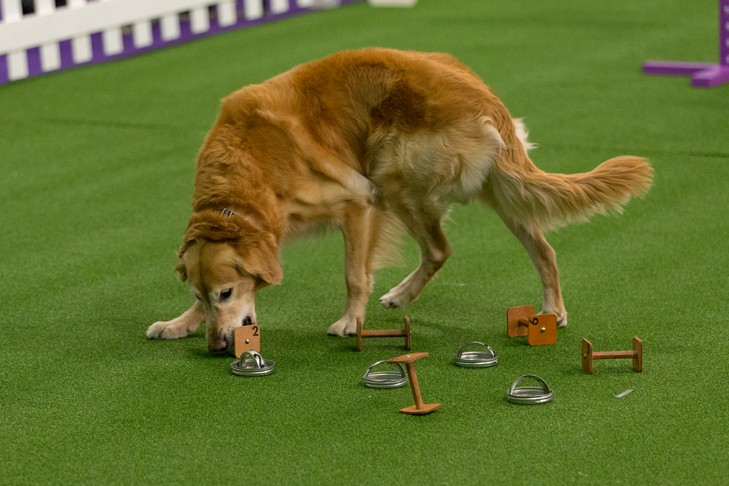 Walker believed obedience training would not only boost a dog’s intelligence, but would also add another enjoyable component to dog shows. And she was right. After months of preparation, eight canines competed in the first obedience trial on a fall day in 1933 in Mount Kisco, N.Y. The winner? A Labrador Retriever. Afterward, interest in the event spread. Within three years on March 10, 1936, the AKC approved the first set of regulations for obedience. During the inaugural year, 200 dogs competed in 18 trials. Today, the sport is the platinum standard for well-behaved dogs whether they’re at home, in public, or around other canines. As obedience has evolved, so has interest. In 2017, the number of entries in obedience trials had dramatically grown to nearly 122,000 and more than 2,500 trials were held. And in the spirit of encouragement, a new accolade is being rolled out at the 2018 AKC National Obedience Championship called the “Soaring Eagle Award” in memory of Patricia R. Krause, former AVP of AKC Companion Events, who dedicated her life to the sport. After the first day’s competition, only dogs ranked in the top 50 will move on to the second round of competition. The award will be bestowed on the 51st team to inspire the exhibitor to never give up and to keep soaring. Getting started may be easier than you think. Nearly 47 percent of exhibitors trained with their dog for one year before entering their first event. Almost 50 percent practiced two to three years before getting into the ring. Newcomers are hardly alone. Out of 70 responses, 27 exhibitors will be competing in the championship for the first time. We wish them good luck! Expect to get hooked. A whopping 79 percent of exhibitors have been participating in obedience for more than 10 years. There are many ways to get started. Most exhibitors, nearly 66 percent, were introduced to the sport through a training class. Around eight percent took the DIY approach by training at home. A handful of participants learned the basics at their local 4-H Club. So, if there’s a chapter near you, take advantage. Most are going the distance. Around 40 percent of respondents are traveling more than 500 miles to attend the National Obedience Championship in Ohio. Another 43 percent are coming from between 251 and 500 miles. Being a spectator is a huge draw. Twenty-seven percent of exhibitors are most excited about watching the event. In addition to the thrill of competing, spending quality time with their dogs is another big reason for attending. Some exercises got a big paw up. The top move for many dogs competing is Directed Jumping, according to 30 percent of participants. Heeling came in second at 20 percent with Retrieve on Flat being a close third. There are lots of ways to reward a dog. More than 50 percent of exhibitors said their companions prefer a tasty treat — and who wouldn’t after a good workout? Praise and hugs were a distant second at 17 percent. Keeping things interesting with cross training. 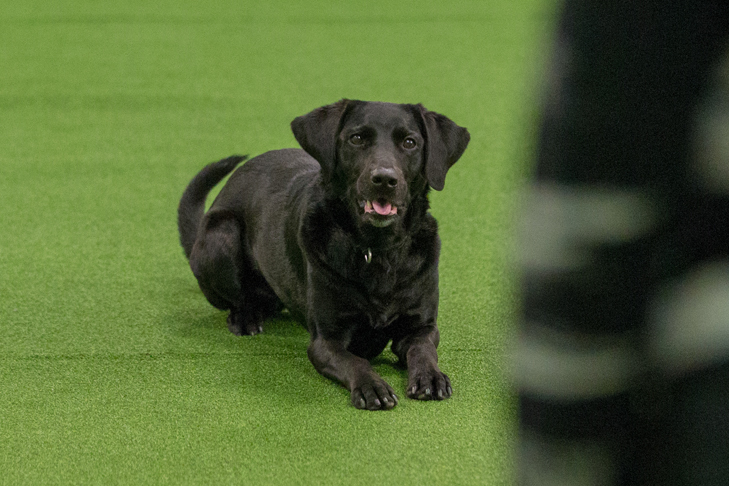 While obedience may be the top sport for many exhibitors, 38 percent also participate in agility competitions, and 31 percent engage their dogs with rally. Other fun activities mentioned included trick dog, barn hunt, and the relatively new sport FAST CAT®. The 2018 AKC Rally® National Championship and AKC National Obedience Championship take place Friday to Sunday, June 29 to July 1, 2018, in Wilmington, Ohio. The events will be held at the Royal Canin Ring/Eukanuba at the Roberts Centre and are FREE for the public to attend, but please leave your dogs at home. Tune in to AKC.TV or our Facebook page, or download AKC.TV on Roku or Apple TV, to watch the livestream of the championship events starting on Friday at 8:30 a.m. EST, Saturday at 8:00 a.m. EST, and Sunday at 8:30 a.m. EST.